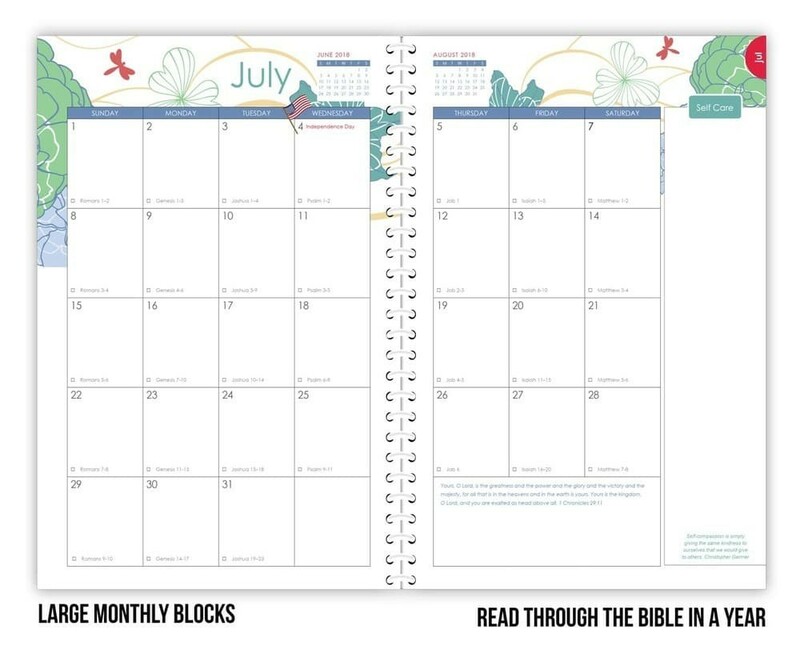 Each month, find a selection from Jonathan Edward's Resolutions, including areas to set your monthly personal goals and prayers. 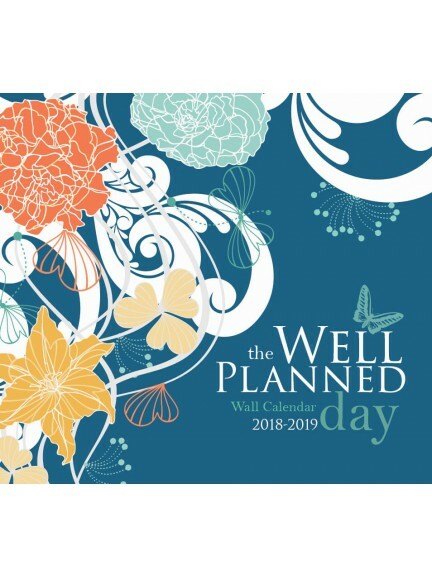 Each month has an area to plan and track a special project. Use this area for planning a yard sale, baby shower, kid's events, and more. 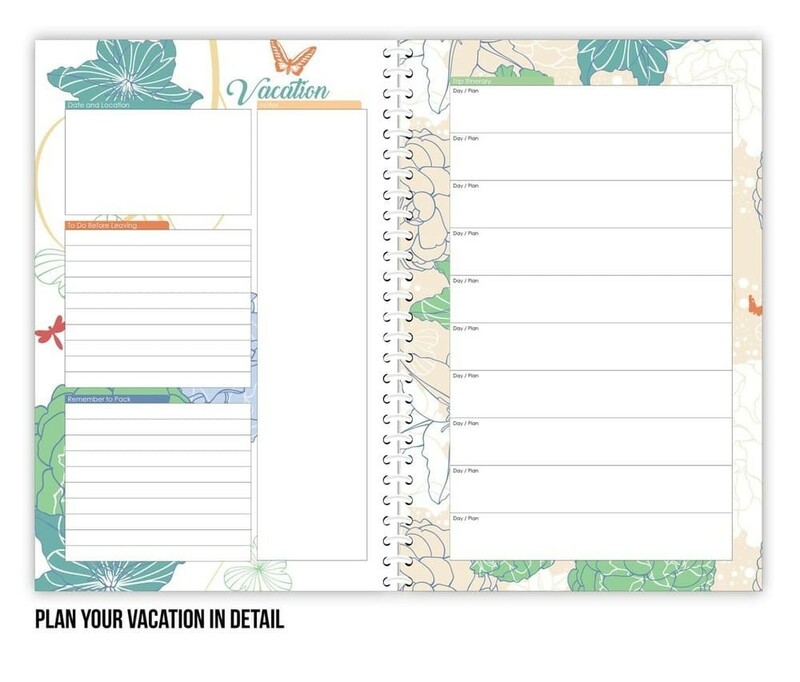 Plan the details of your vacation, including an itinerary. 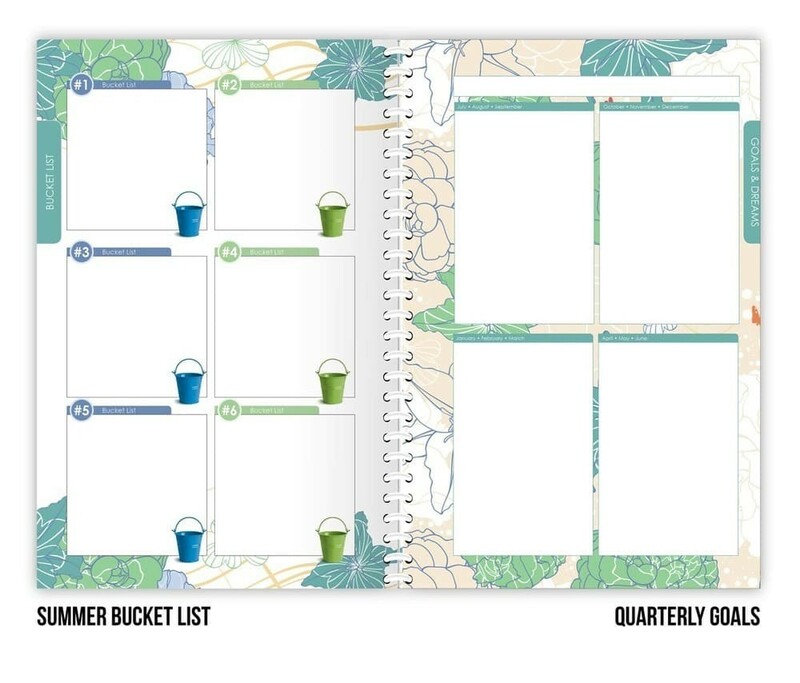 I've even included areas to create a summer bucket list! 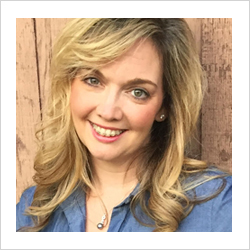 It was around the tenth year of homeschooling and when my youngest child turned six, that the Lord orchestrated events in my life to start a magazine and a publishing company. 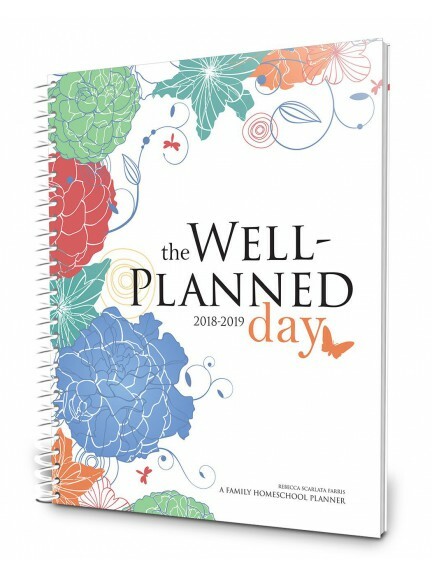 In the previous ten years, I used my Well Planed Day, Family Homeschool Planner to schedule lesson planning, calendar, and dinner menu. But now, I had a task list that seemed to grow daily and didn't relate to my homeschool responsibilities. 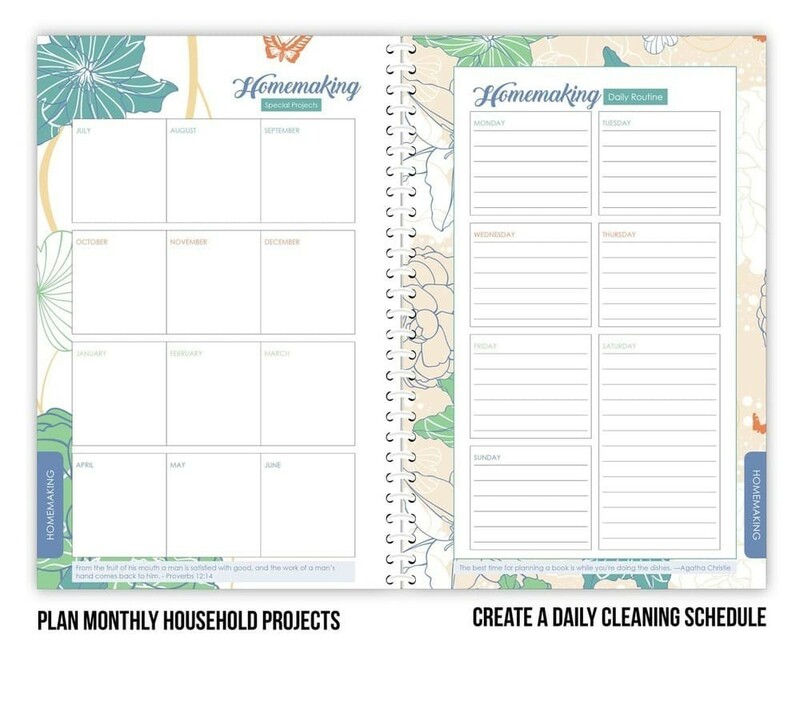 With unique needs for appointments, to-do lists, and errands to run, I set out to develop a planner that could slip into my purse, manage a busy schedule and home management. But with an opportunity to custom design my planner needs, I added some unique features! 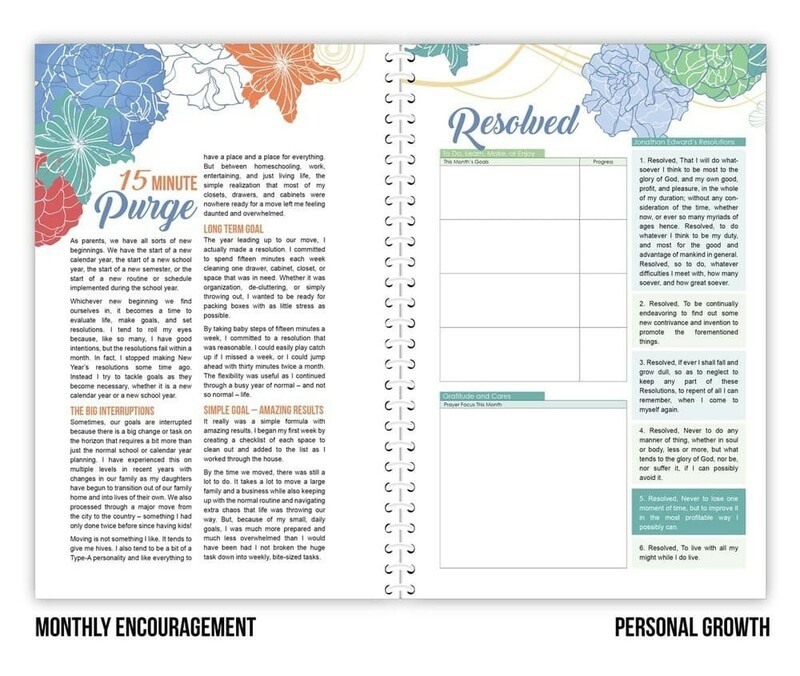 There are pages to manage projects like a yard sale, church events, my daughter's wedding, a move, or even a home remodel. 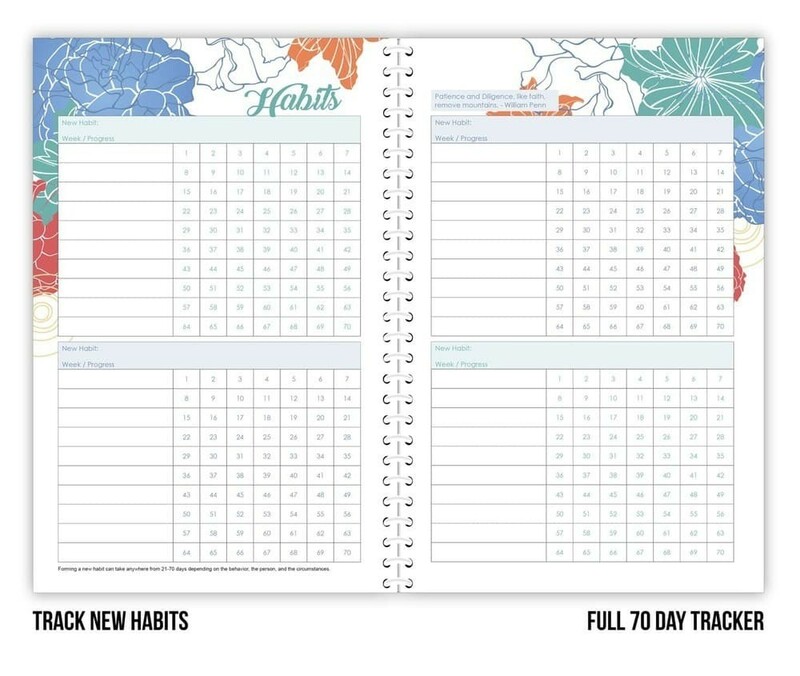 I even added my favorite Biblical encouragement in Jonathan Edward's 70 resoulutions and monthly budgeting. 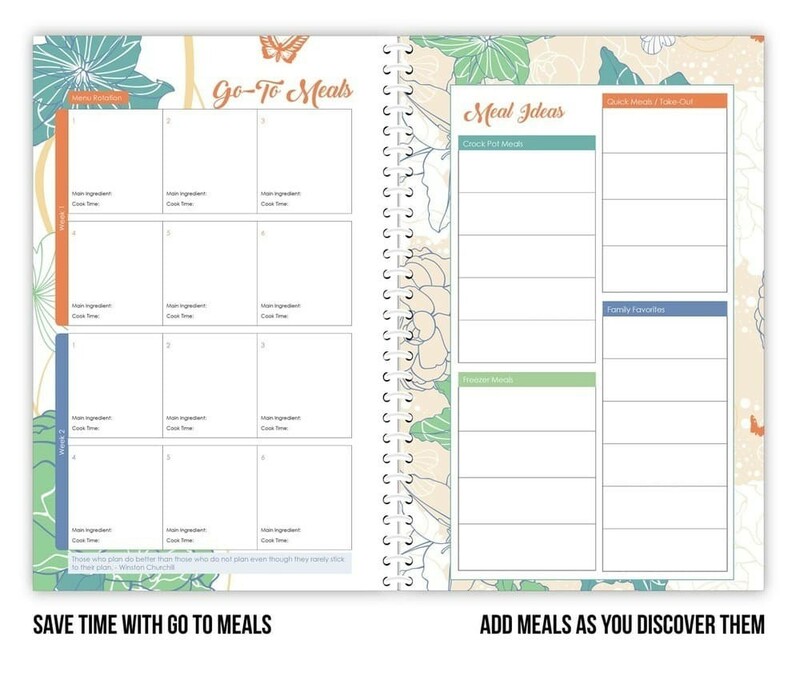 The On the Go planner is a result of this busy mom's need for a tool that understood dinner needs to be on the table, getting to the dentist on time while remembering to pay bills or send a birthday card. 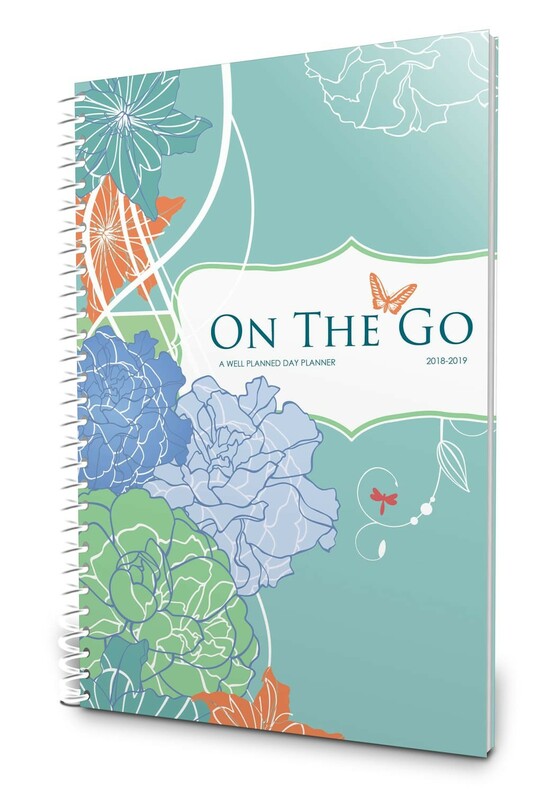 Question - I'm homeschooling, can I use the On the Go planner? 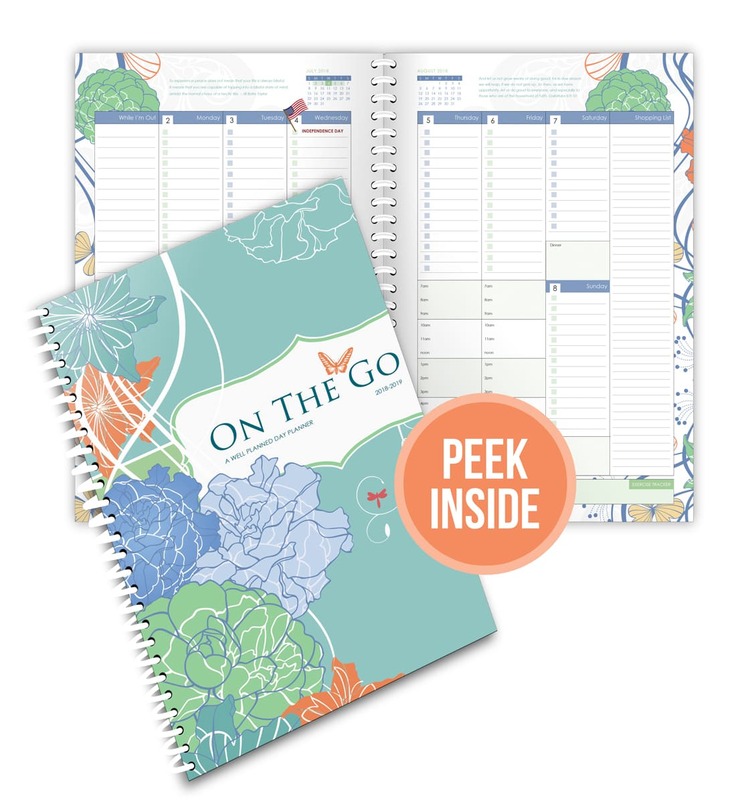 If you are homeschooling and your curriculum comes with lesson plans, the On the Go is the perfect companion to keep appointments, to-do, and home managed and planned. 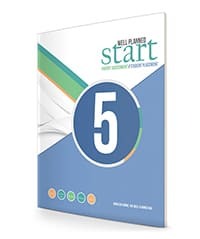 If you are homeschooling and need lesson planning, the On the Go would work if you had one student in Preschool through 1st grade. 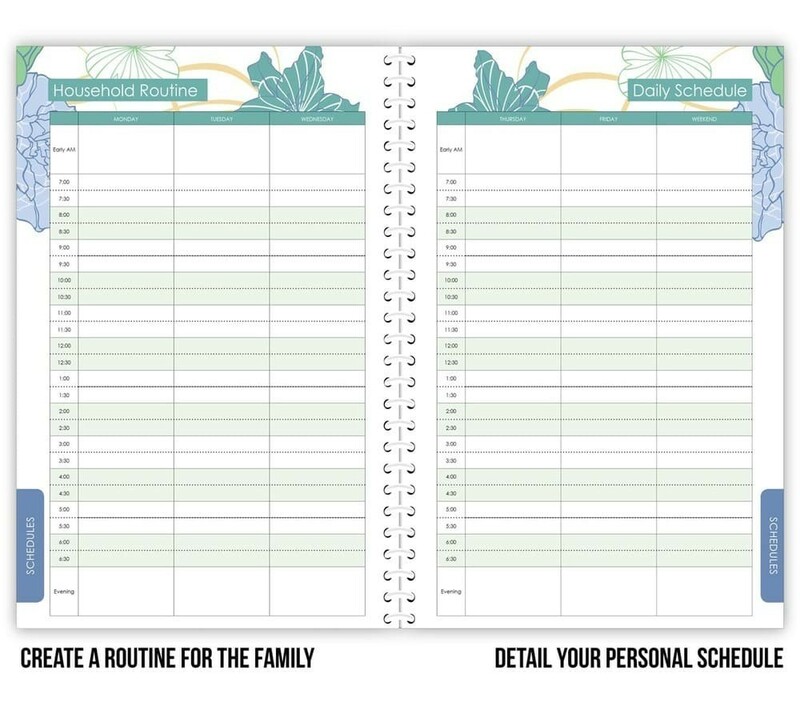 Otherwise, the Family Homeschool Planner is better suited for lesson planning. 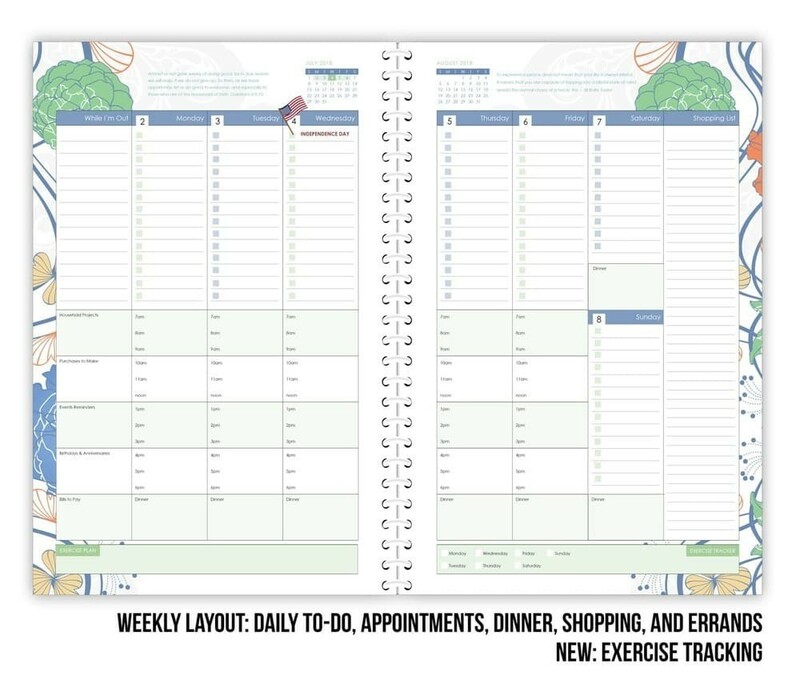 Question - Can the On the Go planner work with my students? 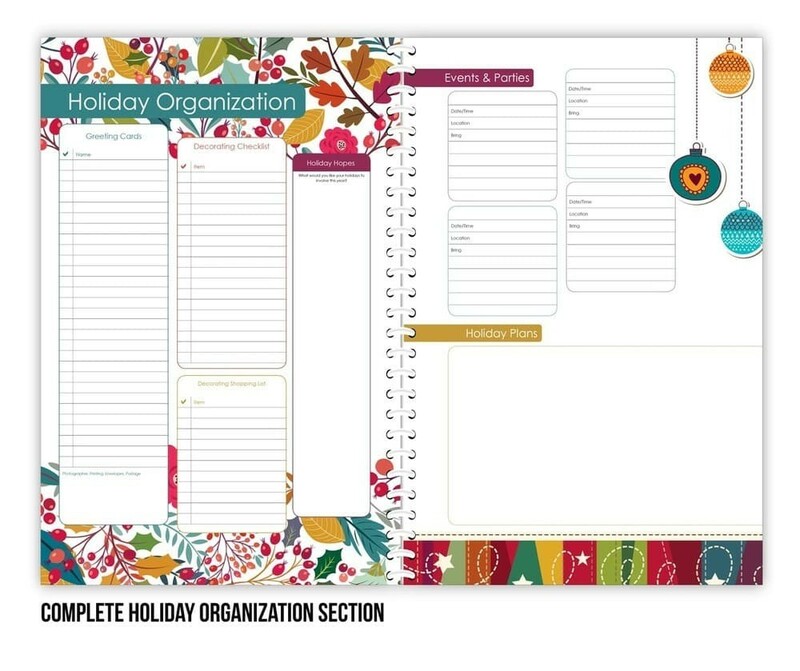 The On the Go does not have academic pages like our high school, college and student planners, however, depending on your young adult daughters needs, On the Go is great for time management and daily tasks. 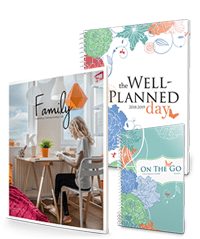 Question - Should I buy both the Family Homeschool Planner and On the Go? 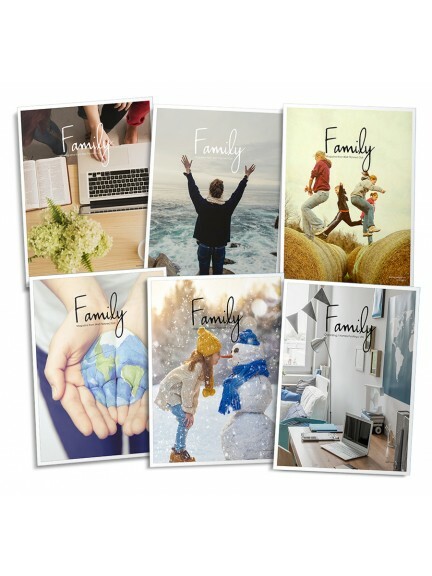 When I was homeschooling five kids, I used the Family Homeschool Planner to lesson plan and used my On the Go to manage work, dinner menu, household projects and church responsibilities. 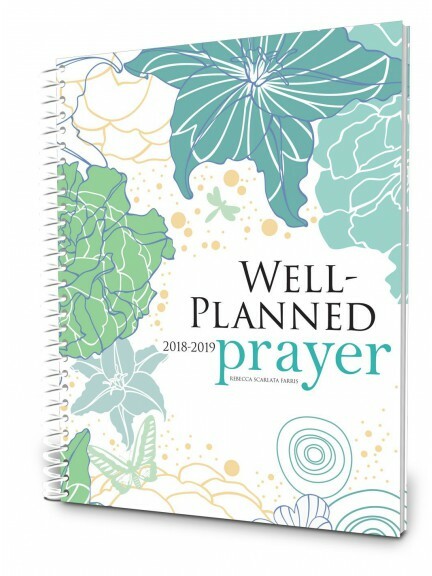 I took my On the Go with me while leaving my homeschool planner on the school table. 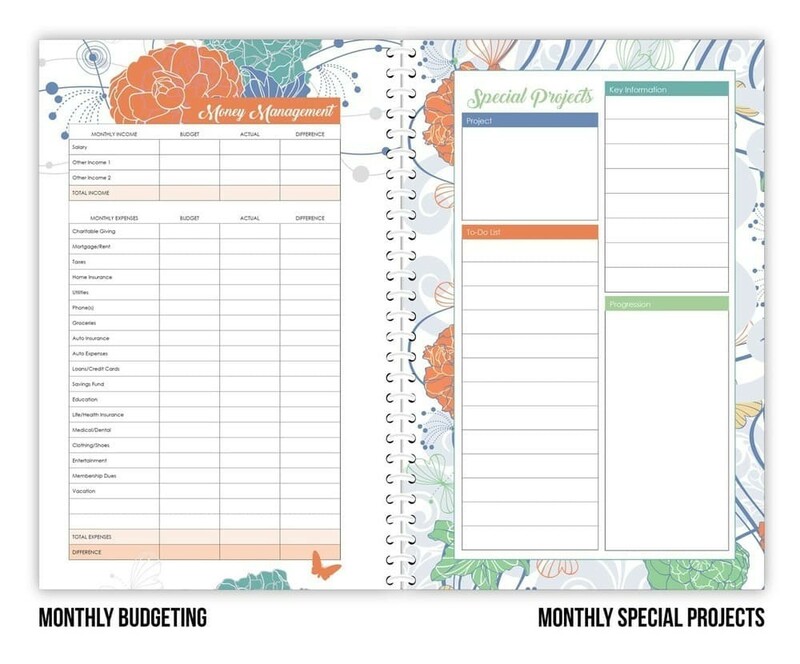 At first, this planner can be a little intimidating with how much it contains. 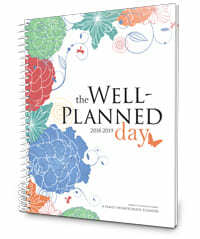 But once you learn the planner and get familiar with the set-up, it is great.